The story is as familiar as it is painful to many a dancer. A promotion or a lead role, just within reach, is irrevocably lost, given to another dancer. Someone you admire and respect, someone you might have toiled and danced alongside for years. Now you’re hurting, and all you want to do is go home, grieve, cry, vent, in the security of your home. Only this time it’s more complicated. This time the other dancer is your sister. 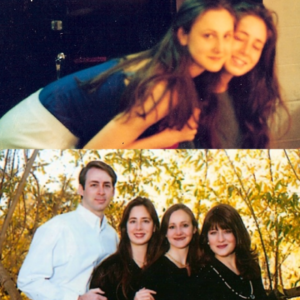 Ballet sisters Zippora and Romy Karz, who both danced with the New York City Ballet (shown below together, and below that, with their other two siblings) offered their own perspective. Lauren Jonas, artistic director of Walnut Creek-based Diablo Ballet, had not one but two ballet sisters, growing up. From the family’s home base in San Rafael, the three of them trained at the Marin Ballet. Mindy was five years older than Lauren, Corinne two years younger. All three went on to dance professionally, although Mindy was forced to retire at a very young age due to a bad foot injury that never healed properly. Lauren joined the Milwaukee Ballet after completing training, and Corinne joined the Houston Ballet. Here, then, is another challenge ballet dancer sisters face: the prospect of being geographically separated. 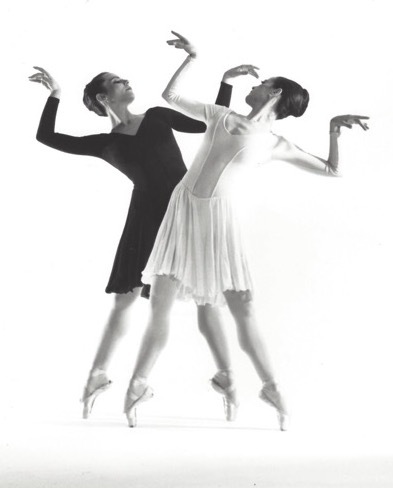 Cuban sisters and principal dancers Lorena and Lorna Feijóo spent their professional careers in San Francisco and Boston respectively. Sisters Maria Sascha and Nadia Khan, Montana natives, are based in Russia and Rome (and have two brothers, also professional ballet dancers, based in London and St. Petersburg). 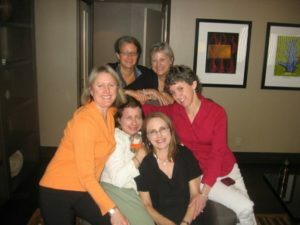 The Jonas sisters dispersed to New York, Milwaukee and Houston. Years later, in an intriguing twist, Lauren co-founded Diablo Ballet, and a few years later Corinne joined the company, the two younger sisters finally dancing together on the same professional stage. This did, however, bring new sister-related challenges: Lauren had to refrain from showing any administrative favoritism toward this new dancer who was also her sister. I asked Lauren what helped the two of them overcome any sense of competition in their youth. “It helped that we were very different dancers,” she replied. “I was very Don Q, good at fouettés, jumps, pirouettes. Corinne was more Juliet, lyrical and flowing. Although, we looked alike and choreographers liked playing around with that.” In choreographer Sally Streets’ 1997 ballet, Encores, Lauren danced in front of a mirror, where she encountered her mirrored self: her dancing sister. I asked these ballet professionals what kind of advice regarding sibling rivalry they might offer today’s aspiring ballet dancer sisters. All were in agreement: figure out what you yourself are good at, what makes you unique, and work to improve and refine that. Classical Girl (in orange) with her own sisters. 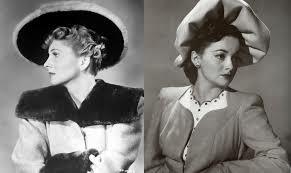 Here are but a few names of professional ballet dancer sisters through the past generation. Can you add to the list? This article first appeared at Dance Advantage with The Classical Girl’s permission. Share the post "Sibling rivalry – when your sister’s a dancer too"
This entry was posted in Ballet and tagged Article by Terez Rose, ballet sisters, Corinne Jonas, Johnna and Gelsey Kirkland, Kathleen and Margaret Tracey, Laura and Elise Flagg, Lauren Jonas, Leigh-Ann and Sara Esty, Lorena Feijoo, Lorna Feijoo, Maria and Marjorie Tallchief, Maria Sascha and Nadia Khan, Mary Mills Thomas and Melissa Thomas, Patricia and Coleen Neary, Romy Karz, siblings dancing, Svetlana and Yulia Lunkina, Tina and Sheri LeBlanc, Zenaida and Nadia Yanowsky, Zippora Karz on July 16, 2018 by admin. Terez – great read. You may not be aware that I begged mom and dad to let me take dance instead of piano lessons. To this day, whenever I watch talented ballet and other dancers I feel restive, like I want to get up and dance with them.